The EDA Revolving Loan Fund Program is a staple of the federal economic development access to capital delivery system. The program, established in 1975, is designed to provide grants to state and local governments, political subdivisions, and nonprofit organizations to operate a lending program that offers low-interest loans to businesses that cannot get traditional bank financing. Grant recipients are required to manage their RLF according to their RLF administrative plan, a document that describes the lending strategy and administrative procedures for a specific RLF project. The EDA RLF Resource Center is provided as a component of the CDFA EDA RLF Best Practices Program. The Resource Center is a centralized location to learn about a variety of best practices related to revolving loan funds and download materials from trainings and webinars as well as sample loan applications, marketing materials, RLF plans, regulatory guidance, and more. EDA RLF Grantees are encouraged to share sample materials from their organizations. Resources should be sent to info@cdfa.net. For more information on the EDA Revolving Loan Fund Program pleasse visit EDAs website at www.eda.gov/rlf/. Want regular updates on Revolving Loan Funds? Subscribe to CDFA's Revolving Loan Fund Finance Update newsletter. This CDFA Fact Sheet covers the basics of how Revolving Loan Funds (RLFs) work and includes resources for creating, capitalizing and implementing a program. This fact sheet, produced by the Ohio State University Extension, discusses how to establish a loan fund to encourage small business development in a community. Included in this fact sheet is a discussion on the role of Revolving Loan Funds and the basic steps in establishing a Revolving Loan Fund. This fact sheet, produced by the Ohio State University Extension, discusses the basics of administering a Revolving Loan Fund. The fact sheet includes advice from application through loan servicing. The Revolving Loan Fund Reference Guide offers an in-depth look at RLF program development, implementation and management. This guide demonstrates how a RLF program can complement economic development strategies, encourage investment and assist traditionally underserved businesses. With seven case studies of proven RLF programs and over twenty sample documents, policies, and applications, this guide covers the essential elements of operating a successful RLF program. The Notice summarizes the risk-based RLF Program measures, scoring criteria, and the effects of an RLF Recipient’s score. EDA has released their final rule in response to the 103 comments received on the proposed rules from November, 2016. The new rules went into effect on January 2, 2018. This RLF plan, produced by the Lane Council of Governments, was adopted in 2014. This RLF plan, produced by the Benton Franklin Council of Governments, was adopted in 2015. This RLF plan, produced by the Northwestern Indiana Regional Planning Commission was adopted in 2016. This RLF plan was produced for the Southwestern Wisconsin Regional Planning Commission. This RLF plan, produced by the Southwestern Commission, was adopted in 2013. This brochure is used to market the Tyler Economic Development Council EDA Revolving Loan Fund. This brochure is used to market the Two Rivers Regional Council of Public Officials EDA Revolving Loan Fund. This brochure is used to market the Southwestern North Carolina Economic Development District EDA Revolving Loan Fund. This brochure is used to market the Southwest Iowa Planning Council EDA Revolving Loan Fund. These guidelines are used to market the Southeast Kansas Regional Planning Commission EDA Revolving Loan Fund. This application is for the Upper Coastal Plain Council of Governments EDA Revolving Loan Fund. This application is for the UDI Community Development Corporation EDA Revolving Loan Fund. This application is for the Southwest Iowa Planning Council EDA Revolving Loan Fund. This application is for the Southwest Georgia Regional Commission EDA Revolving Loan Fund. This application is for the Southeast Missouri Regional Planning and Economic Development Commission EDA Revolving Loan Fund. Successful RLF programs always make every attempt to craft a good loan. Some businesses, though, will inevitably struggle to repay. How your fund handles loans and borrowers during this difficult period can help minimize losses and maximize recovery. As part of the CDFA EDA RLF Best Practices Program, this webinar highlighted a variety of corrective action strategies and proactive approaches that can successfully reduce defaults. Speakers on this webinar included Amanda Peterson with Colorado Lending Source, Michelle Beecher with Rural Nevada Development Corporation, and Rachel Baldini with First state Community Loan Fund. Awarding the loan is just the beginning of a longer process. In order to be successful, RLF staff must maintain regular communication with the borrower and provide ongoing loan servicing. Many RLFs have found success in building partnerships with professional lending institutions to manage their loan servicing while others prefer to maintain the servicing in-house. Speakers on this webinar included Mitchell Harrison with the U.S. Economic Development Administration, Harry Allen with CDFA, Amanda Ruark with Buffalo Trace Area Development District, and Amir Kirkwood with Amalgamated Bank. Hundreds of development finance programs exist at the federal, state, and local level. These programs have been created to address the financing needs of business, industry, real estate, housing, environmental and community development entities. Individually, none of these programs are a silver bullet solution to economic development challenges. The toolbox approach brings together the best of these financing concepts and techniques to provide a comprehensive response to capital and resource needs. Listen as Toby Rittner with the Council of Development Finance Agencies discusses the various development finance tools that can be utilized to enhance the efforts of your Revolving Loan Fund. Staffing a Revolving Loan Fund requires a team of financial specialists and dedicated sources of revenue. In one approach – best for funds issuing a higher volume of loans – each team member is responsible for a different stage of the lending process. An alternative approach assigns each loan to an individual who monitors it from beginning to end. Revenue sources can be diverse, but generally staff are supported by the interest charged on loans. Listen as Jennifer Hibbard, Robyn Jacobson and Michelle Beecher discuss strategies for developing RLF staff and implementing effective management policies. Revolving Loan Fund committees are essential to a program’s success. If properly leveraged, the RLF Committee can be a key resource in finding borrowers for your RLF program and making good decisions for sustainability of the fund. Many successful loan committees are made up of bankers, non-traditional lenders, city officials and small business owners alike. It is essential that RLF staff have guidelines in place to monitor and encourage board involvement. Speakers on this webinar included Terry Hegle with Business Oregon, Ken Pearson with Northwest Regional Planning Commission, and Tricia Wilson and Carol Meredith with the City of Newport News, VA. 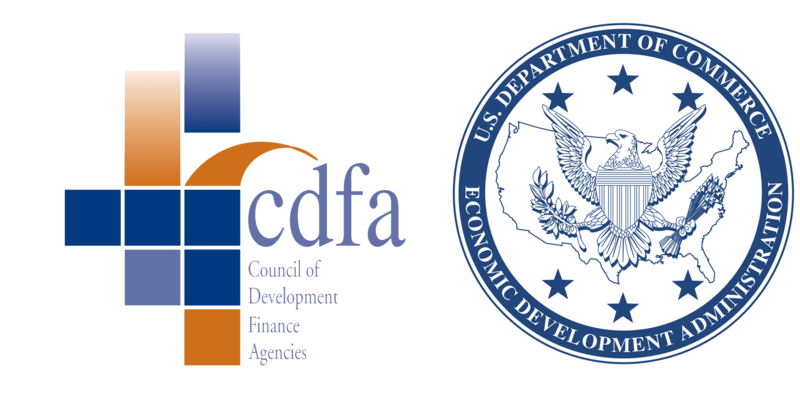 The CDFA EDA RLF Best Practices Program was prepared by the Council of Development Finance Agencies using Federal funds under award ED17HDQ3030053 from the Economic Development Administration, U.S. Department of Commerce. The statements, findings, conclusions, and recommendations are those of the author(s) and do not necessarily reflect the views of the Economic Development Administration or the U.S. Department of Commerce.